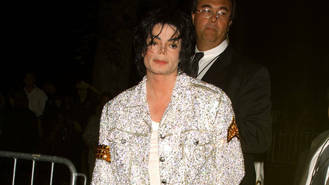 The late pop icon owned a 50 per cent stake in Sony/ATV Music Publishing before he passed away at the age of 50 in 2009 and the new agreement bosses at Sony struck with Jackson's executors means the entertainment conglomerate will become the sole owner of the music publishing company. Sony higher-ups agreed to the sum of $733 million (£513 million) for the buy-out, but payment instalments means Jackson's estate will receive a total of $750 million. Although the deal is pretty much cemented, a firm agreement will be reached on the matter no later than 31 March (16). Sony/ATV Music Publishing, a joint venture between Jackson and the entertainment corporation, was established in 1995 and it is considered to be the globe's leading publisher of music, with the company either owning or administering over 3 million copyrights. EMI Music Publishing was acquired by Sony/ATV Music Publishing in 2012 for the tune of $2.2 billion (£1.5 billion). Sony/ATV Music owns the copyrights for some of the most established acts in history, including Lady Gaga, the Beatles, Carole King, Stevie Wonder, the Supremes, the Rolling Stones and more. Jackson fathered three children while he was alive, and representatives from his estate claim this significant deal will be very beneficial for his progeny.